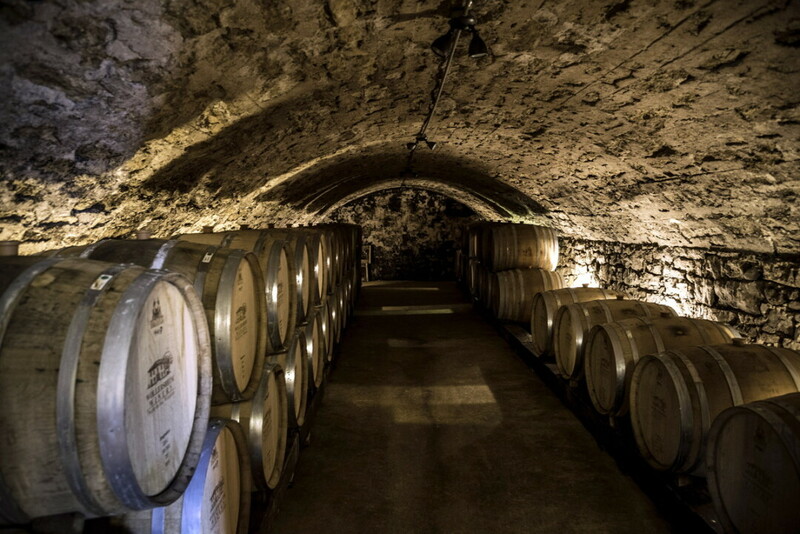 Wisconsin’s wine industry is modest in scale, but has roots as old as the state itself. A Hungarian immigrant named Agoston Haraszthy planted the state’s first vineyard in 1846 on the east bank of the Wisconsin River and founded the community that would become Sauk City. He headed west three years later, establishing the famous Buena Vista Vineyard in Seminole, California, and became known as the father of Californian winemaking. In Wisconsin, Haraszthy’s vineyard lands would later become the site of Wollersheim Winery. 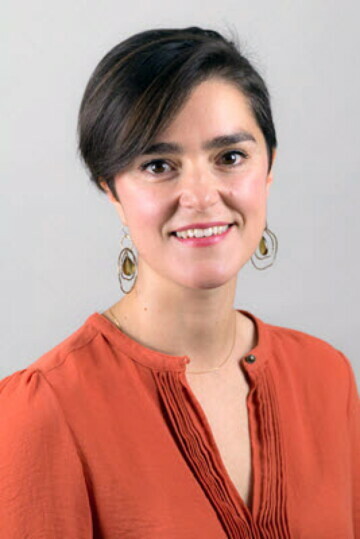 The wines produced in Wisconsin’s unlikely climate are the result of centuries of selection, cultivation and hybridization of many grape varieties, said Amaya Atucha, a fruit crop specialist with the University of Wisconsin-Extension and assistant professor of horticulture at UW-Madison. With only 80 to 180 frost-free days across different parts of the state in an average year, Wisconsin’s cold climate and soil pH is not particularly hospitable to many wine grapes. Variants of a grape species first cultivated in western Asia thousands of years ago, Vitis vinifera, are grown to produce 99 percent of the world’s wine today. While male and female flowers grow separately on wild grapes, Vitis vinifera was bred to have what are called perfect flowers, which have reproductive structures for both sexes. This morphology greatly increases fruit yield, supplying enough juice to produce wine. Many grape species are native to the Americas, including Vitis riparia, Vitis berlandieri, and Vitis labrusca. Wine production did not begin in the Western Hemisphere until the 1500s, though, when Spanish conquistadors and missionaries planted vineyards in hospitable regions using cuttings of Vitis vinifera. The lower fruit yields of North American grape species proved unfavorable for wine production, and the flavors of their wines discouraged cultivation for that purpose. “For me, coming from Chile, never having these grapes … it just tasted very chemical, like this foxy taste,” Atucha said of her first experience with juice made from Concord grapes, which is cultivated from Vitis labrusca, and left her believing the taste was artificial. “Afterwards, they took me to a vineyard where there was Concord grapes and they gave me some of the grapes to taste, and I was like, ‘Wow, it tastes just like the juice,’” she said. Much of North America is inhospitable to Vitis vinifera, leading to failed attempts at establishing vineyards in the British colonies along the Atlantic Seaboard during the 1600s and 1700s. European grapes faltered in the climate, and they were also more susceptible to insects and disease American grape species had evolved to resist. It was not until the 1740 discovery of the Alexander grape in Philadelphia that North American wine production became feasible. A natural hybrid, this variety combined the hermaphroditic flowering traits of Vitis vinifera with the hardiness of a native species. The new, viable variety sparked an interest in hybridization, resulting in grapes capable of flourishing and producing wine in Wisconsin a century later. 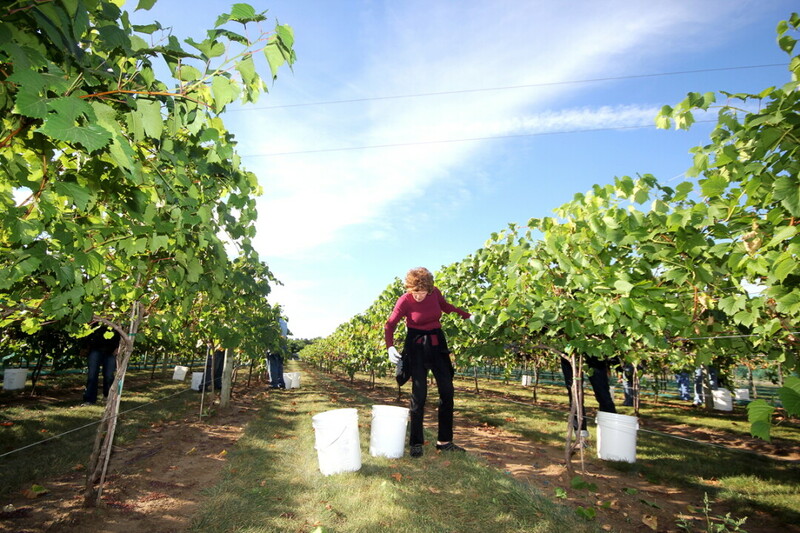 “So the solution to the problem was actually not to try to make the vinifera grow, but to find a grape that would survive, that would yield enough, and that would make wine decent enough that they could sell and that people could drink,” Atucha said. Aging room at Wollersheim Winery. Modern viticulture has its roots in the soils of the southern Caucasus Mountains, a region that now includes portions of Armenia, Azerbaijan, Georgia, Turkey, and northern Iran and Iraq. The first evidence of wine production dates to around 7,000 years ago, when the burgeoning viticulturists of the Neolithic era found particularly fruitful Vitis vinifera vines, grew these grapes along the shores of the Caspian and Black seas, and began fermenting the juice. Viticulture spread to Mesopotamia, Egypt, and on to regions around the Mediterranean. Over time and through trade, the rise of the Roman Empire and the growth of Christianity, Vitis vinifera eventually found a new, favorable climate in the high pH soils of southern Europe. Romans advanced grape cultivation and wine production, but the monks of the medieval Catholic Church developed many of the techniques used in the present day. While Native Americans fermented fruits like apples and other plants to produce alcoholic beverages, there is no archeological evidence to suggest grapes were used to produce wine, despite the fruit’s prevalence in North America. In the 1620s, King James I declared wine production mandatory in Virginia. He sought to supplement supplies from France, Italy, and Spain by meeting the growing British taste for wine with a domestic product, so as to lessen dependence on imports from these rival nations. Several North American wild grape species contributed to the hybridization of Vitis vinifera. Vitis riparia, found from Canada to Texas and between the Atlantic Ocean to the Rocky Mountains, is cold hardy and resistant to fungus and disease. Vitis berlandieri, native to central Texas and eastern Mexico, grows well in high pH soils and aids in breeding of grapes for a variety of soil types. Vitis rupestri, a nearly extinct species, lent disease and fungal resistance to some modern varieties. And Vitis labrusca is a vigorous vine known as the Northern Fox Grape; its cold hardy variants have a distinct flavor, the Concord grape the most famous among them. New Englander Ephraim Bull created the Concord grape, named for his hometown in Massachusetts, after testing millions of seedlings and selecting based on desired traits. The grape’s distinct, sour taste makes it a popular choice for jams, jellies, and juices, but aficionados generally consider it an undesirable flavor for wine. The eventual success of wine grape cultivation in the United States led to the export of North American hybrids to Europe in the mid-1800s. European botanists sought to study and collect these varieties, but unintentionally introduced diseases and pests like the grape phylloxera, devastating the continent’s grape vines. Nearly 90 percent of European vineyards collapsed, and wine production fell to 20 percent of previous levels. Although hybrids were the source of the invasive species, they were also key in ending the 20-year die-off: Vinis vinifera was grafted on to North American root stock, maintaining the properties of European varieties with the resistance of imported hybrids. Scientists play a role in contemporary viticulture. While working for a University of Minnesota grape breeding program, Wisconsin native Elmer Swenson developed a number of cold resistant varieties that also produce good wine, releasing many to the public upon his retirement in 1980. More recently, the Northern Grapes Project is a collaboration between a dozen Midwestern and Northeastern universities that seeks to develop new varieties and growing techniques that work well in colder climates. This article was originally published on WisContext, which produced the article in a partnership between Wisconsin Public Radio, Wisconsin Public Television, and Cooperative Extension. It was edited for length. To read the original article and to watch a video lecture by wine expert Amaya Atucha, visit WisContext.org.